I-Ling invited our members to her home for a family concert. 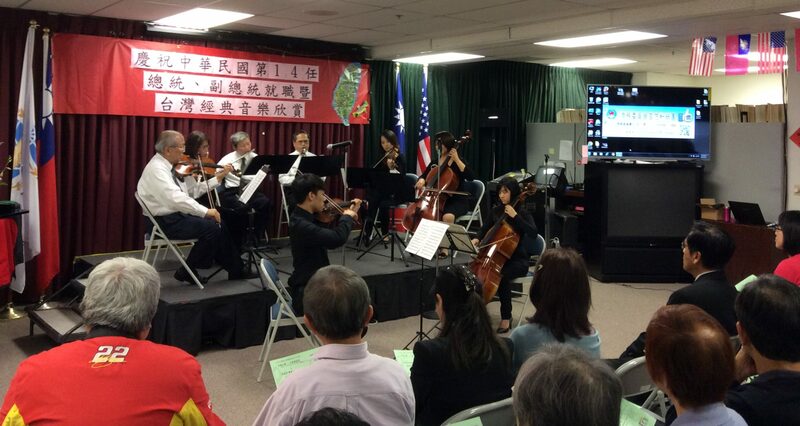 This is to introduce her parents, visiting from Taiwan, to us and to keep our musical practices alive. I have chosen “La Folia”, arranged by Suzuki as a violin solo piece. It is not a technically difficult violin piece. However, it is difficult to play well with the piano accompaniment because of the change of tempo and mood in each variation sections. Here is a performance from Miho Hakamata 袴田美穂（バイオリン), one of the best performances on this piece. In this Web Site, “La Folia, A Musical Cathedral“, the author labeled “La Folia” as the most lasting and famous tune in western music. The author said – “The most striking feature of La Folia, however is that the theme is not well-known to a larger public, although more than 150 composers for over 330 years made lots of brilliant variations.” …..
La Folia (pronounce as ‘lah foh-LEE-ah’), literally meaning madness, folly, or empty-headedness is one of the most remarkable phenomena in the history of music. This simple but intriguing tune was first published in 1672. Its roots go back to the 16th century. It would remain a major challenge for numerous composers up to the present day; ranging from a part of a famous Bach Cantata to a popular film tune in the hit charts by Vangelis. The flexibility of the theme to incorporate and adapt features of new musical styles is not only amazing but also essential for its survival. Another striking feature is the variety of instruments used to play the theme in a completely natural way. How about bassoon, bird-organ, brass quintet, carillon, clavichord, English handbells, mandolin, nyckelharpa, rebab, salterio, sitar and ukulele to name a few? Quote from the same Web Site (above). CHAMBER ARTISTS ORCHESTRA (CHAARTS), a relatively new Ensemble in Switzerland, played “La Folia” using modern instruments and baroque bows on 416 HZ pitch. Here is a video clip of La Folia variations arranged & played on a Honu concert ukulele by Herman Vandecauter.